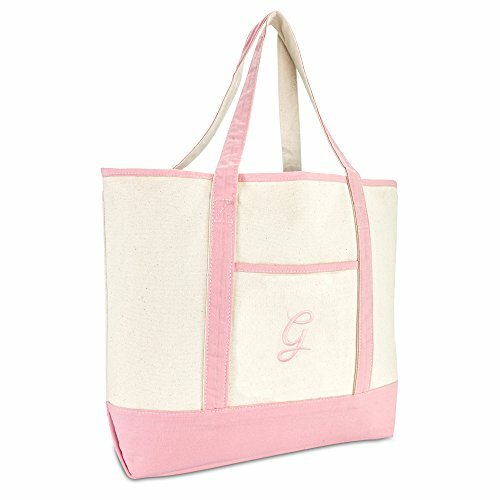 FEATURES: Custom font embroidered in your favorite initial, Heavy Duty Shopping Tote with front open pocket, Inner Zippered Accessories Pocket. SIZE: 22 inches (Length) X 16 inches (Width) X 6 inches (Depth). DROP STRAP LENGTH: 9 inches. MATERIAL: 12 oz. Cotton Canvas. INTENDED USE: Shopping, Outings, Beach Days, Handbag and Accessories Storage. If you have any questions about this product by DALIX, contact us by completing and submitting the form below. If you are looking for a specif part number, please include it with your message.